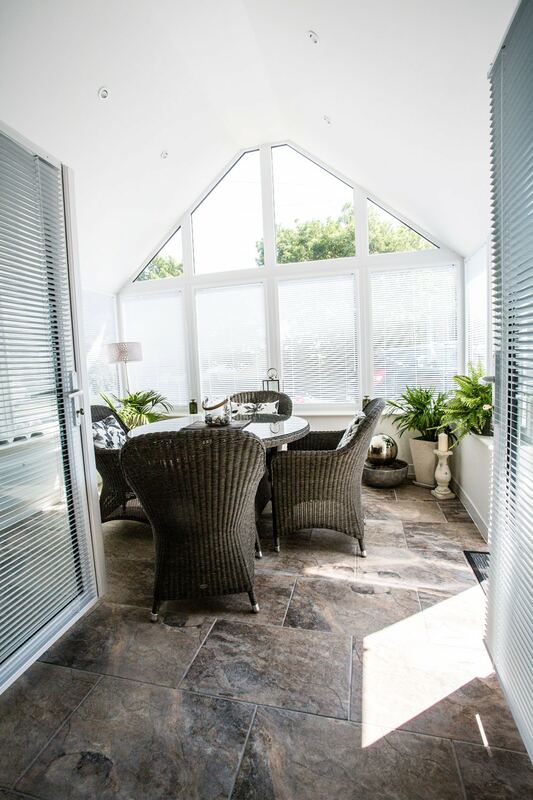 Transform your conservatory into a space you can use all year round with a Leka ‘Warm Roof’. 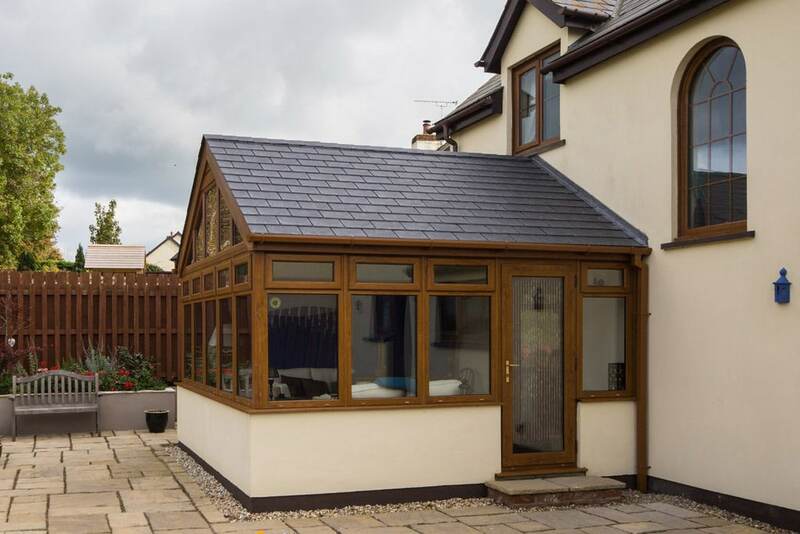 This solid, yet lightweight roof will convert your existing conservatory into an energy efficient space that is cool and glare-free in the summer, warm and cosy in winter, and so quiet even the rainiest day won’t keep you from using it. 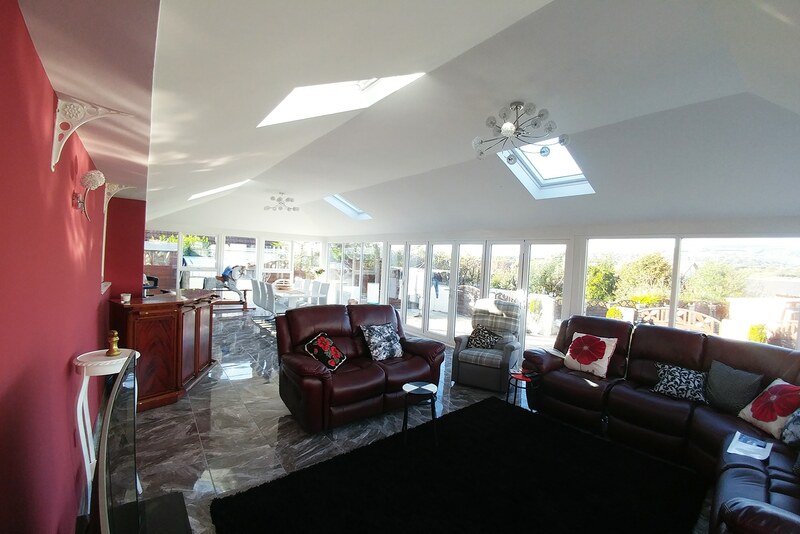 Our professional team can replace your conservatory roof quickly and with minimal fuss. You can trust us to deliver a high-quality service and respect your home. Pure Conservatories cover the North West including Wirral, Liverpool, North Wales, Shropshire, Manchester and Cheshire. 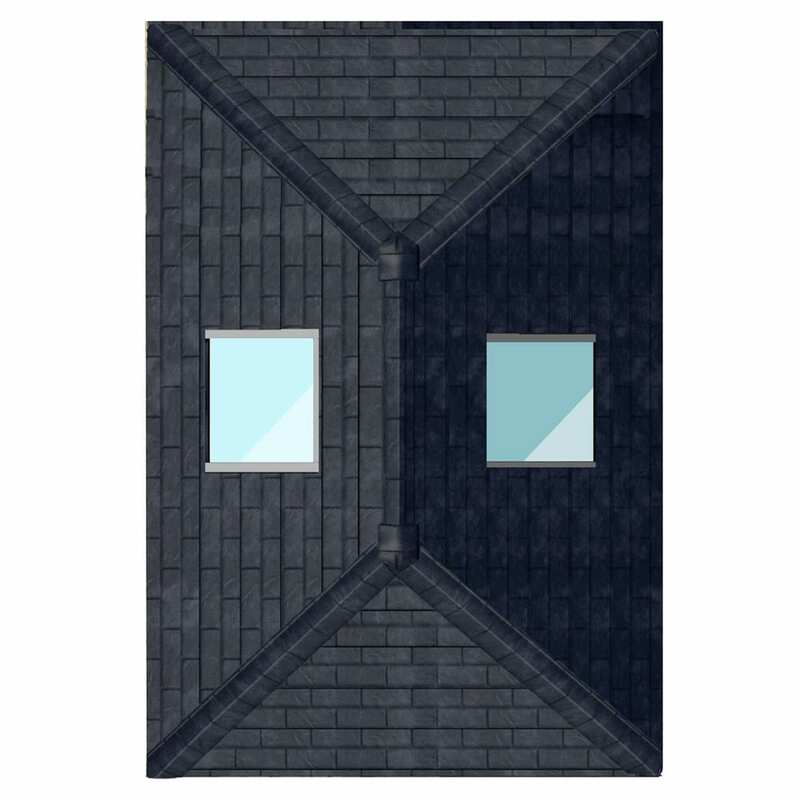 The Leka Roof system is new to the market and has the lowest U-value of 0.15 available today. 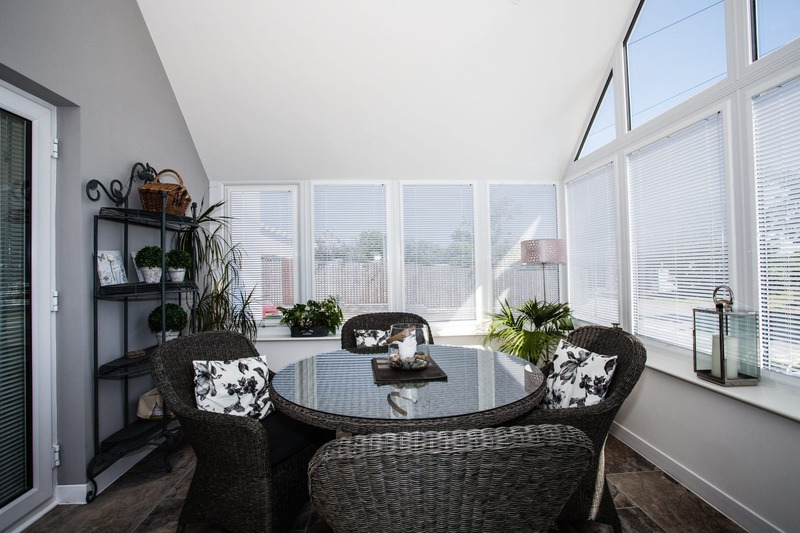 This means that heat loss is massively reduced compared to a standard polycarbonate or glazed roof increasing the usability of your conservatory. The Leka system comes with a 40-year warranty on all parts giving you complete peace of mind. The Leka roof system is a solid but lightweight, made-to-measure system that can be retro-fitted to your existing conservatory in as little as 3 days. For peace of mind, the Leka roof system comes with a 40-year warranty and with JHAI approval. The tiled external finish allows your conservatory to blend in with the rest of your home, looking more like a traditional extension. Internally, the ceiling is plastered and finished with spotlights or mood lighting if desired, ready for you to decorate. 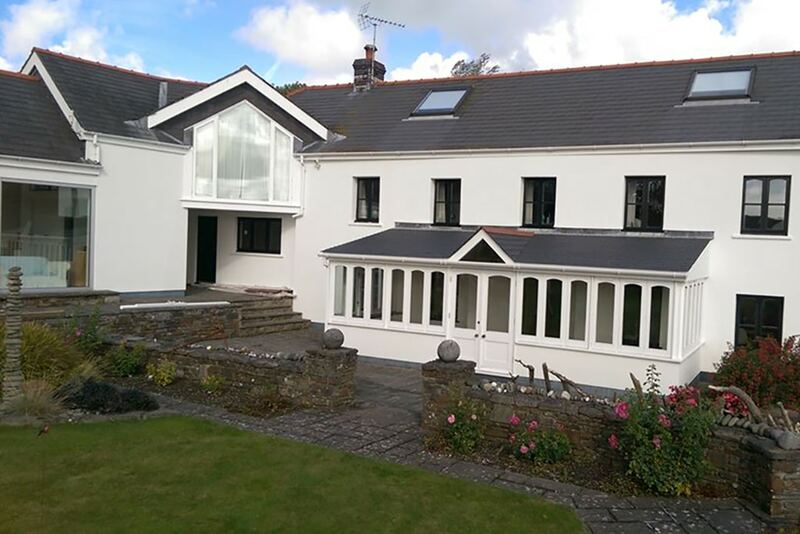 The Leka roof is a lightweight system made from glass-reinforced plastic – no steel or timber – which means there is no risk of mould or condensation. Additionally, the Leka system is JHAI compliant which means you don’t require planning permission to install the solid roof and will have no issues if and when you sell your home. For complete peace of mind, all components come with a 40-year manufacturer’s warranty and our work comes with an insurance-backed 10-year guarantee. 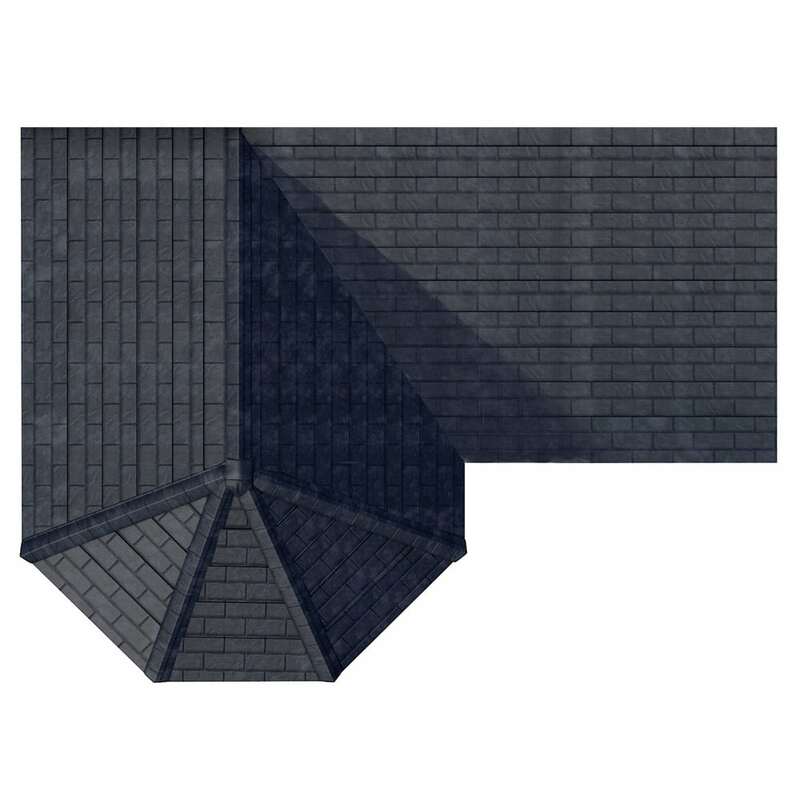 Read more about the Leka roof system here. To book a free, no-obligation on-site consultation at your home, please call us on 0151 327 8095 or send us a message using the contact form below. We will visit during the day, evenings or weekends. Traditional conservatory roofs are very noisy when it rains. 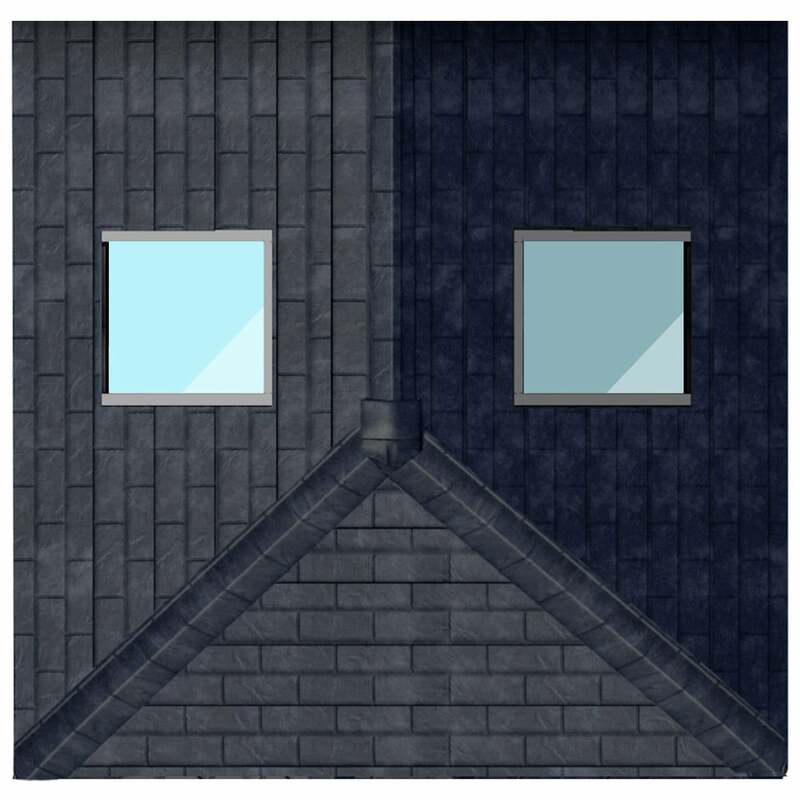 The Leka system is the most insulated on the market and significantly minimises sound. The Leka roof system is solid so your conservatory will no longer become a greenhouse in the summer or cause glare. Rooflights can be fitted if desired. 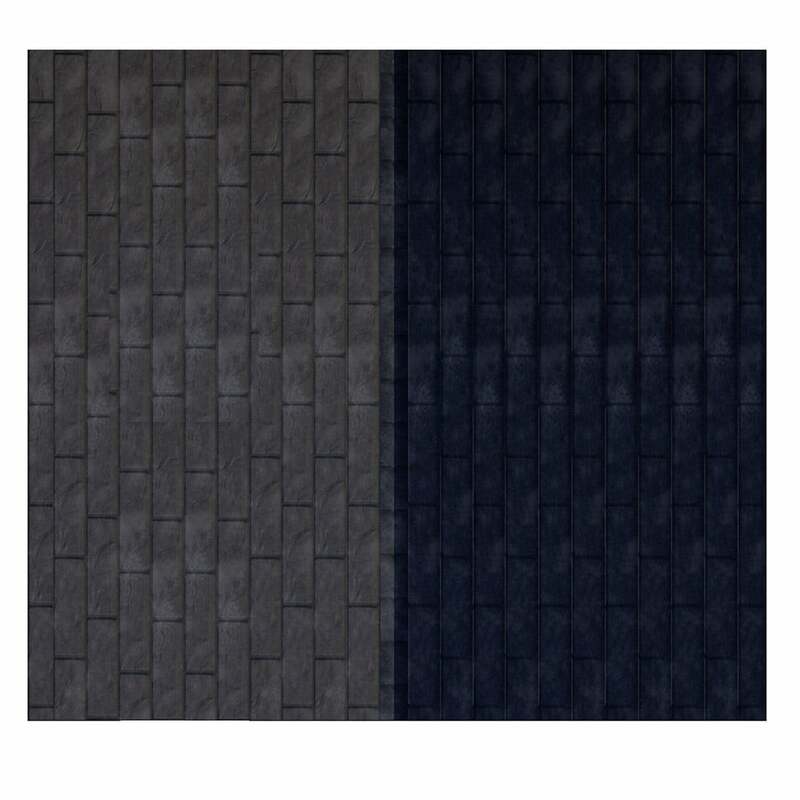 The Leka system massively reduces heat loss through the roof which is where most heat is lost. This reduces your energy consumption and bills. We offer all customers a free, no-obligation site visit to discuss your options and provide a personalised quote and design. Your conservatory will be made-to-measure using the most innovative products available on the market. We can generally install a replacement conservatory roof within 3-5 days, with finishes and a deep clean taking a further day or so. Our tradesmen will respect your home at all times and be considerate of any pets or other needs you may have. We’ll talk you through the process face-to-face and answer any questions. Customer satisfaction is very important to us which is why all customers are asked to complete a feedback form once the work is completed. Additionally, we’re proud to offer an insurance-backed 10-year guarantee on all our work. All components of the Leka Roof System carry a 40-year manufacturers guarantee. If you’d prefer to spread the cost of your new conservatory, we have finance options available. Conservatories don’t require planning permission so long as you adhere to your local authority guidelines. However, the LEKA roof system does come with JHAI system approval, this ensures that you have no issues when you come to sell your home. We’re taking off a roof that lets in a huge amount of light and replacing it with a solid one, so there will be a reduction in natural light. Your new solid roof can include, roof lights and electric lighting if required. When finished with a fresh coat of white paint, you’ll be surprised how airy it feels – just look at our gallery. How long will the re-roof process take? The time it will take us to build your new conservatory really depends on size, complexity and the materials you choose. When we visit you to provide our no obligation quote, we’ll also estimate how long the build will take. We’re also always at the mercy of the great British weather! What is an insurance-backed guarantee? A 10-year guarantee for our workmanship and materials that covers you even if we cease trading or are unable to complete your installation. We are vetted and insured by HomePro and have an average rating of 9.3/10. We want to make sure the price you get is accurate so we will never quote over the phone, we’d rather come and meet you. We’ll book an appointment at time suitable to you including evenings and weekends. 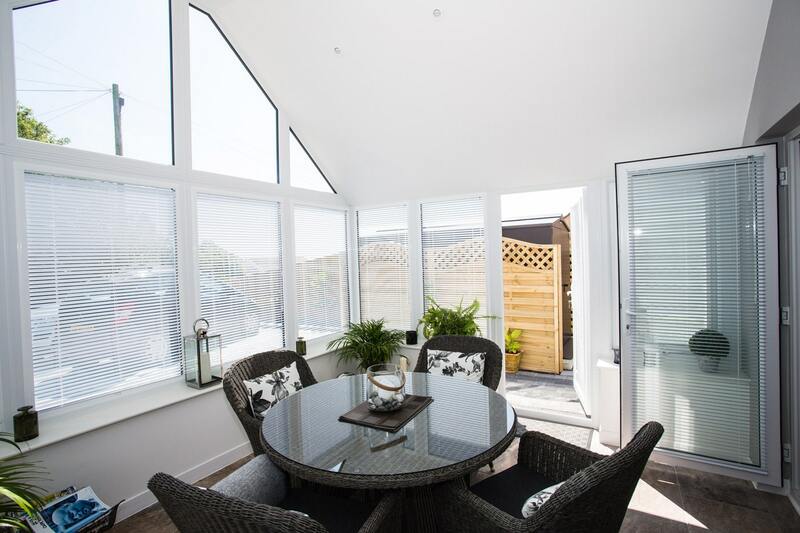 Once we’ve established that your conservatory can accommodate a LEKA roof, we’ll show you samples, photographs of completed work, explain all the benefits of the roof and answer any questions. Once we’ve established your choices for tile finish, roof lights, internal lighting etc. we’ll measure up and cost the work for you. At Pure we don’t believe in gimmicks, the first price we offer will be our best price. When you’re happy to proceed we’ll agree an installation date and ask you to sign a contract to ensure that we’ve recorded everything accurately. The installation date will never be less than 14 days after you sign as we respect your legal right to cancel. 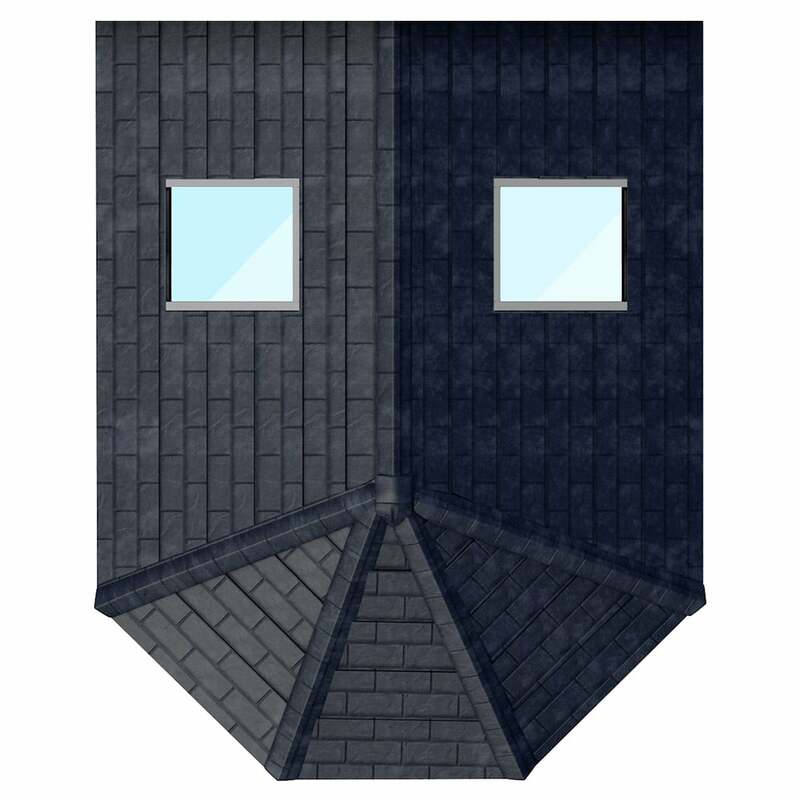 We’ll also ask for a 25% deposit so that we can confidently place the roof order with our manufacturer. Within 5 days we’ll remove your existing conservatory roof and install your new one leaving you with a plastered internal finish that you can paint once dry. All rubbish will be removed and a professional deep clean will be done before we leave. We want you to be 100% happy with our service which is why we ask all customers to complete a satisfaction survey after the work is complete. Our work comes with a 10-year guarantee so if any problems do arise once we’ve left, you can count on us to resolve them and quickly. 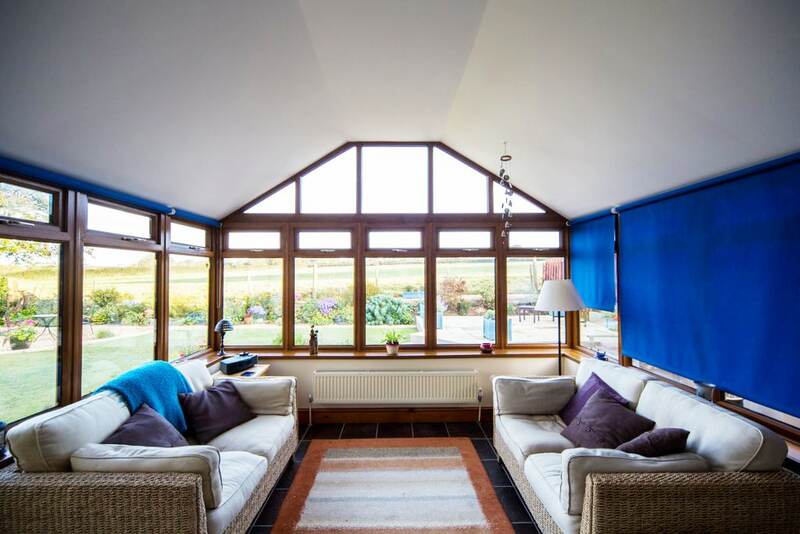 We can make additional adaptations to your conservatory to make the space more usable such as adding solid walls, replacing blown units, and heating and lighting. For more information see here.